unlike anything seen before. Cabins that feel like rooms; spaces that feel like home. 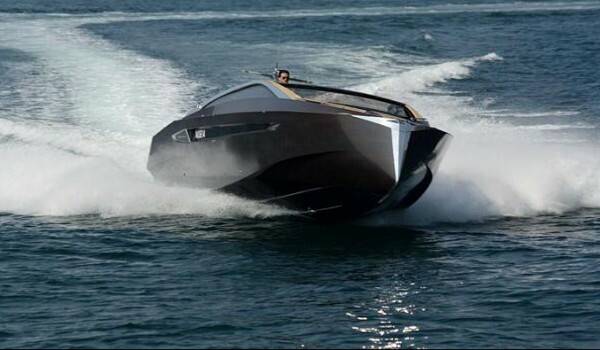 The same cutting-edge software used in the aerospace and automotive industries shapes our yachts. mechanical anchor arm, our in-house team of naval architects and engineers are pioneers in their field. having been hydrothermically treated in Germany to enhance their durability and lifespan. Mirror-like accents of hand polished metal gleam throughout our yachts. surfaces, supple to the touch, accented with flawless leather stitching. 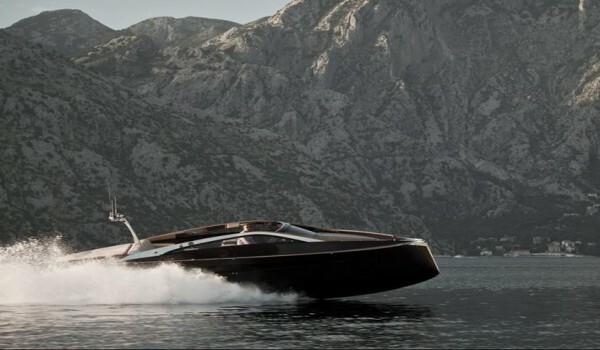 Hedonist means "the pursuit of pleasure" our yacht of that name takes over 12,000 man hours to sand. to a high-gloss sheen only seen on the finest pieces of furniture. with nothing left to test except your delight. Handsomely designed, meticulously engineered, and exquisitely outfitted, the Art of Kinetik team have created a vision of excellence. 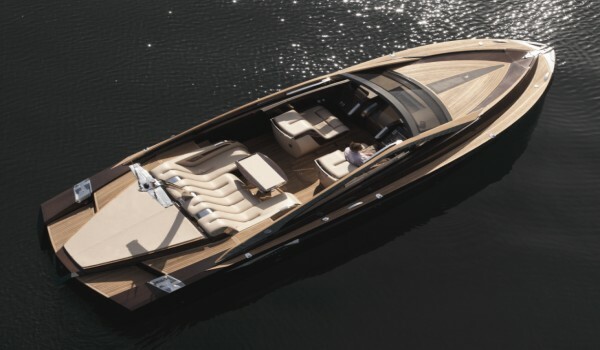 Extracting brilliant performance and abundant beauty from luxurious natural materials, they’ve delivered a most exceptional yacht in the Hedonist Hard Top. This elegant work of art displays man’s finest handiwork, dovetailing the products of form with function to simultaneously delight the eye and heart while engaging the mind and soul. 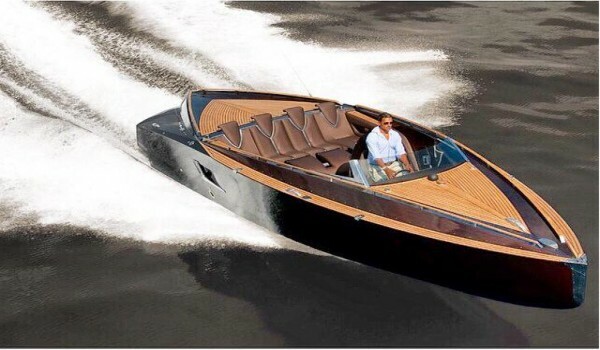 The commanding profile of the 63 ft/19m solid mahogany planing hull, strategically layered and reinforced with kevlar, gleams deeply through 18 layers of high-sheen varnish applied atop 12,000 man hours of careful sanding. 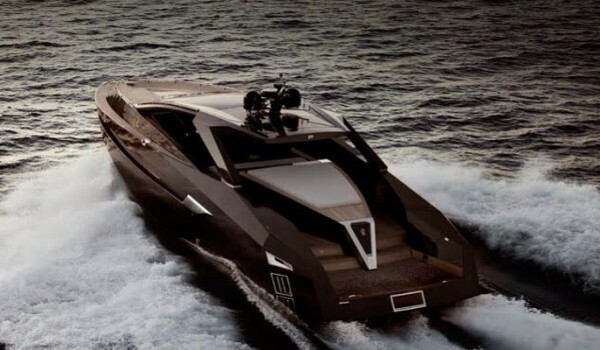 Powered by three 800-hp MAN R6-800 engines, assisted by three Rolls Royce Kamewa waterjets, this fine craft speeds over water at 40+ kts carrying full passenger load and cargo, effortlessly nurturing pleasure with the hush of a smooth, vibration-free ride. Stylish cabins with elegant comforts align with the serenity of home. Posh interiors by Alv Kintscher embrace extraordinary materials to comfort cabin time, with slate galley and shower, bespoke china and glassware, African mahogany, and Burmese teak, all called upon to play integral parts. Executing designs with peerless precision, the metal shop, leather shop, and surface finishing craftsmen apply their old-world expertise to create flawless interiors with impeccable, contemporary craftsmanship. Easily carrying a party of 6 for day excursions, on deck or in the salon below, and lavishly attending a couple for an overnight in the cabin with ensuite, Hedonist has an approved load of 12 passengers. The dramatic pilot’s chair commands power, exuding an ergonomic style that comfortably cradles while stylishly swiveling in any direction with one touch. Each Hedonist yacht is equipped with Böning Automationstechnologie Systems, enhanced by bespoke installation including large touch screen, high definition displays, real time monitoring, and customized dash. Sculpture, as much as navigation technology, a thoughtful mast profile is created by four cameras, one of which boasts night vision, a weather station, radar, satellite compass, and a comprehensive communications suite. This extraordinarily balanced work of art plus performance, melding technology with beauty, honors the Art of Kinetik name with a new standard. 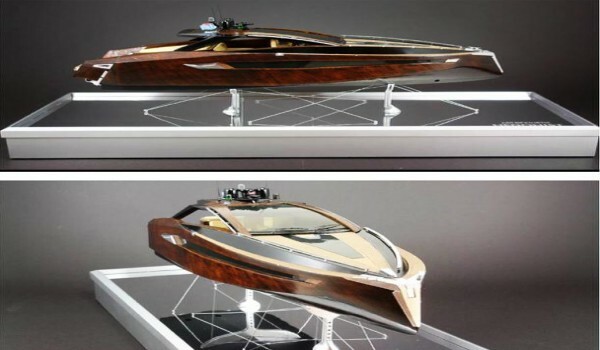 Kinematic, self-stowing anchor arm, hydraulic storage panels and hydrodynamically optimized, stablized wood, teamed with shapes and profiles from the aerospace and automobile industries, contribute to the yacht’s appeal. 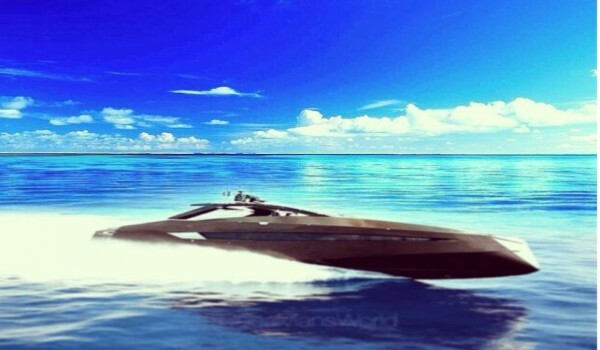 Thoroughly scrutinized every step of the way on land, every Hedonist endures punishing sea trials to ensure performance nonpareil. Bestowed with RINA S.p.A. Certification, and designated 2003/44/EC Category B navigation, Hedonist has a range of between 320 and 370 nautical miles. A custom AOK PWC tender is stowed below, hidden until called to service. In the hunt for the epitome of pleasure, the Art of Kinetik team gives chase to the elusive vision of excellence, finding it in the Hedonist Hard Top, built in the Belgrade, Serbia facility. 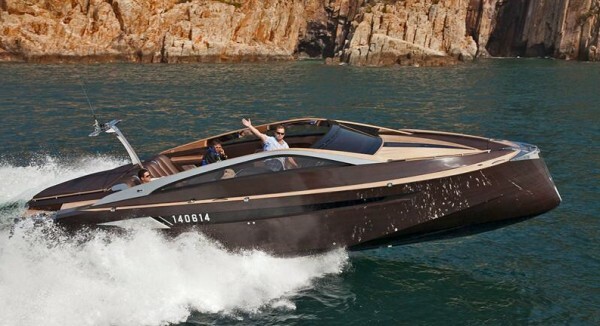 There is simply no comparison for a yacht of this type, in a category all its own, in a style that realizes perfection.